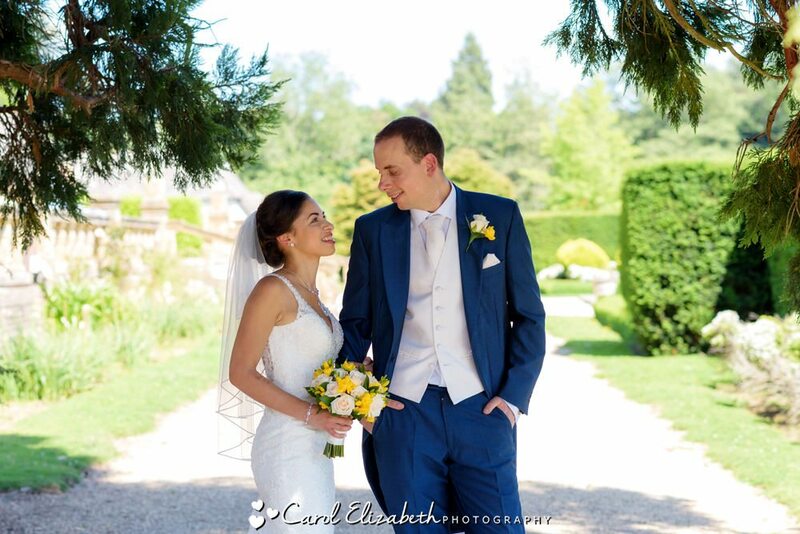 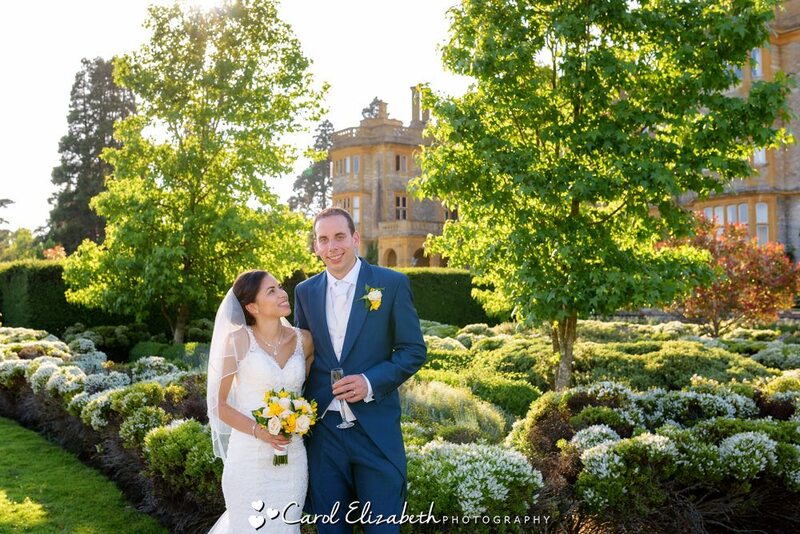 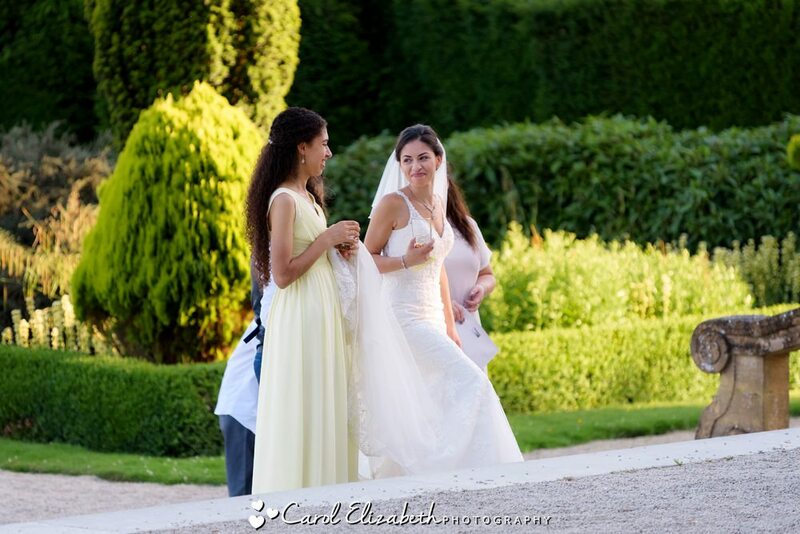 Wow – what can I say about this magical outdoor Eynsham Hall wedding! 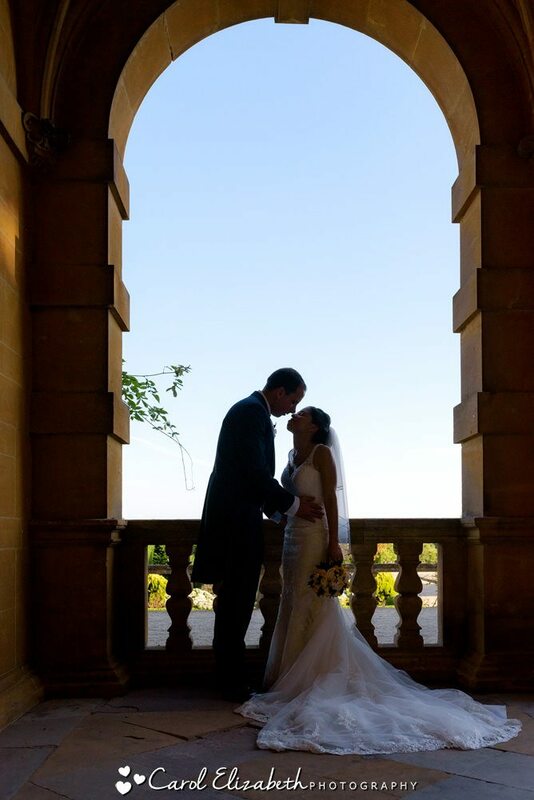 It was just perfect from start to finish. 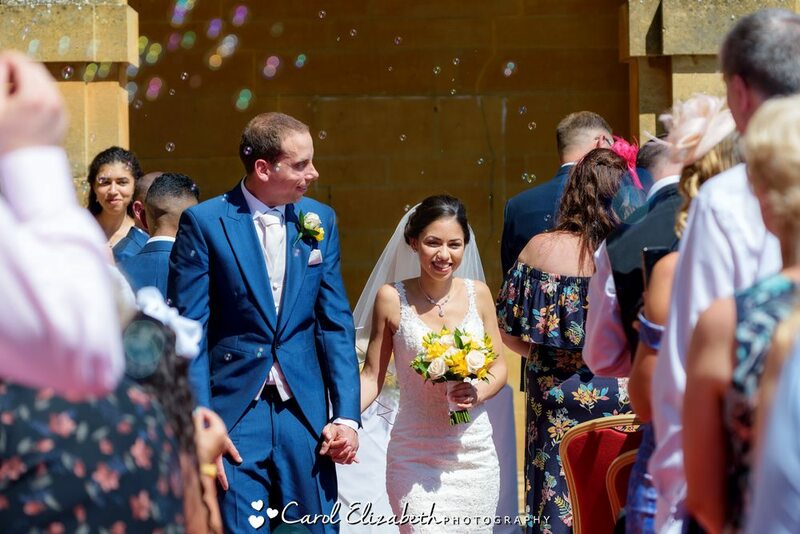 As an experienced wedding photographer with a more classic and traditional approach, my style was perfect for Elisa and Daniel’s beautiful wedding day. 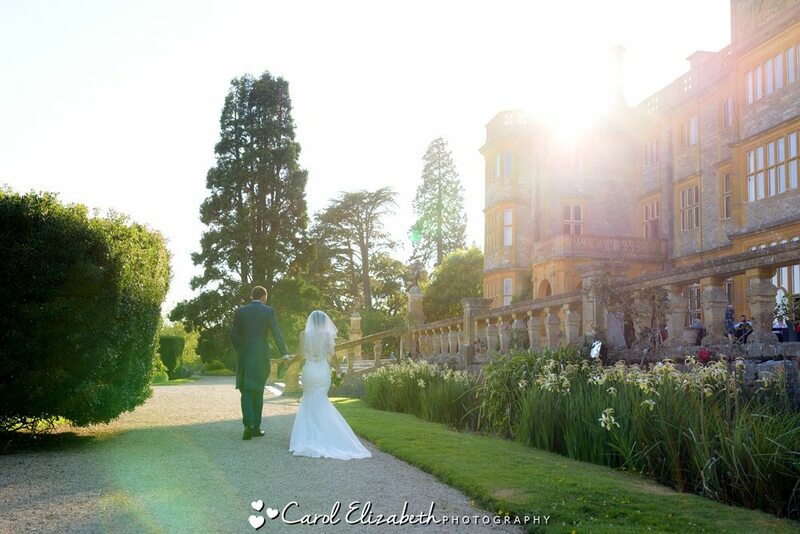 The sun was shining (maybe a bit too warm at times!) 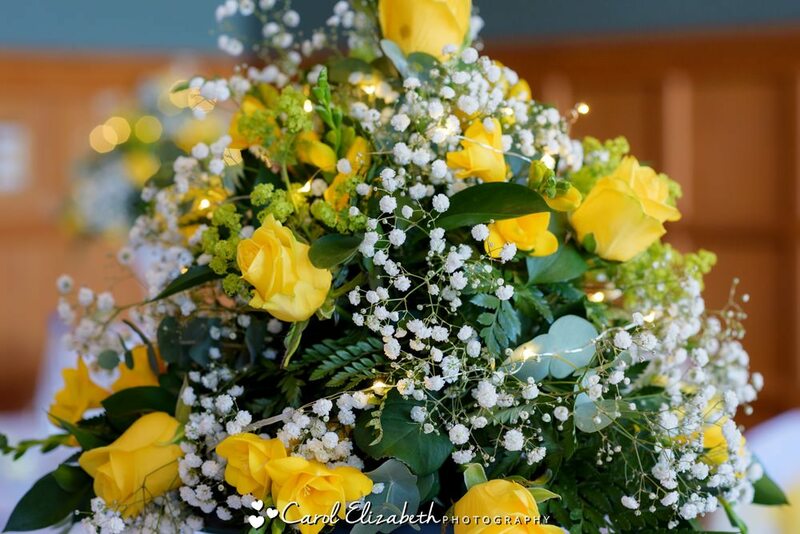 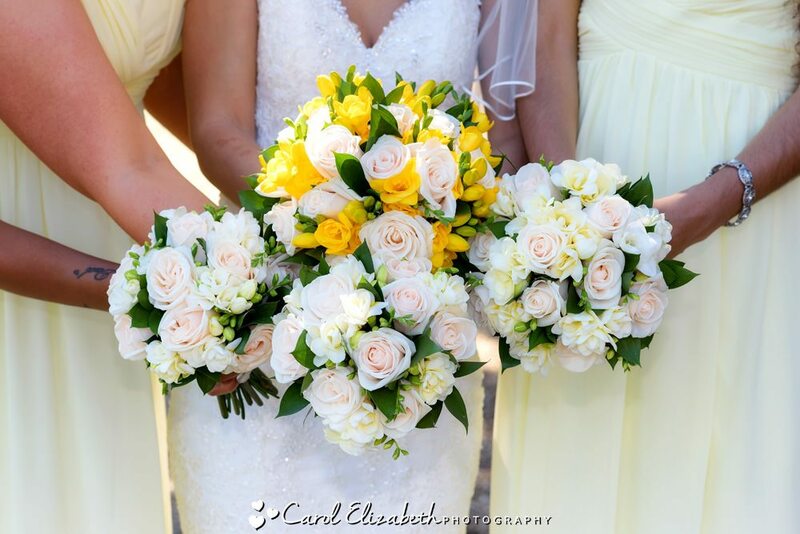 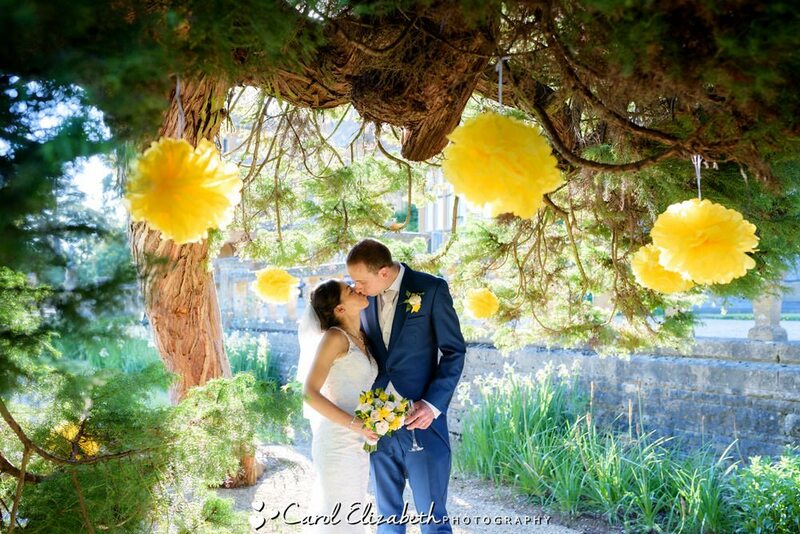 but it was a wonderful summers day with gorgeous yellow flowers to match. 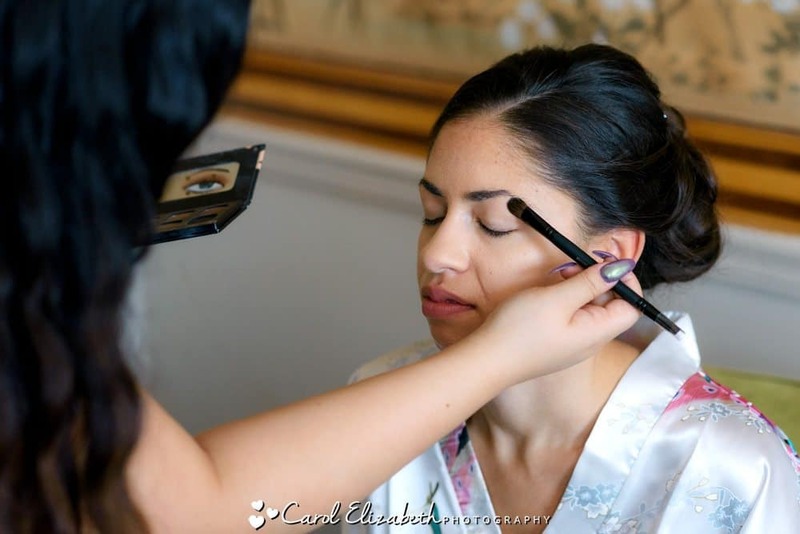 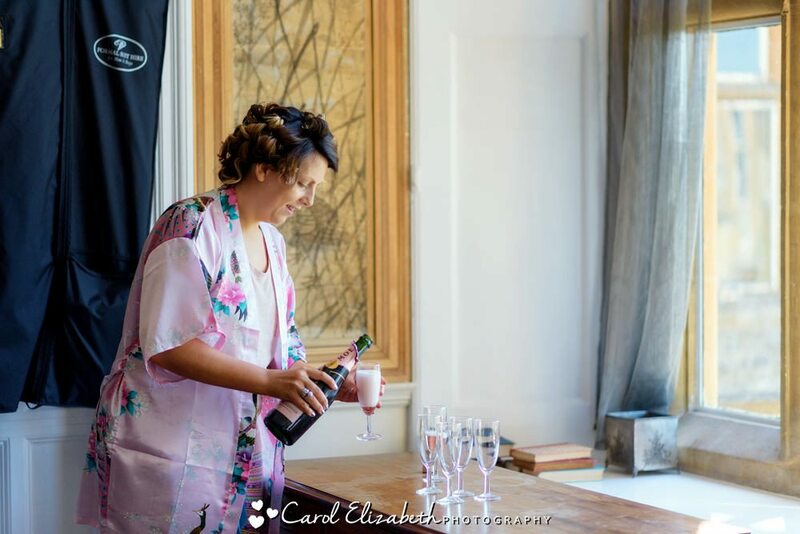 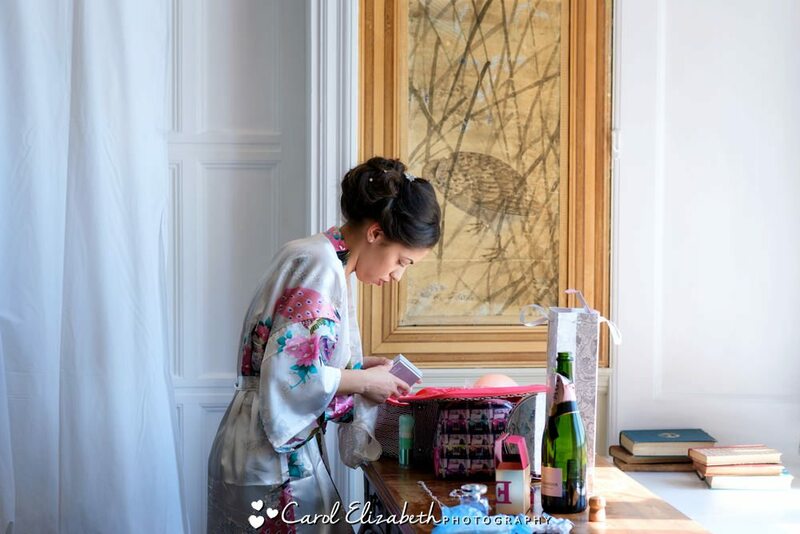 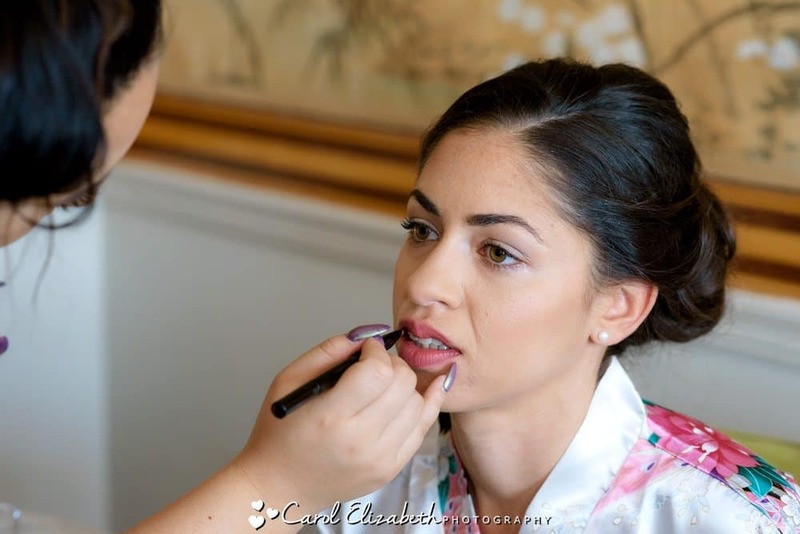 The hair and make-up preparations with the bridesmaids were very relaxed, everyone had a great time chatting and sipping champagne. 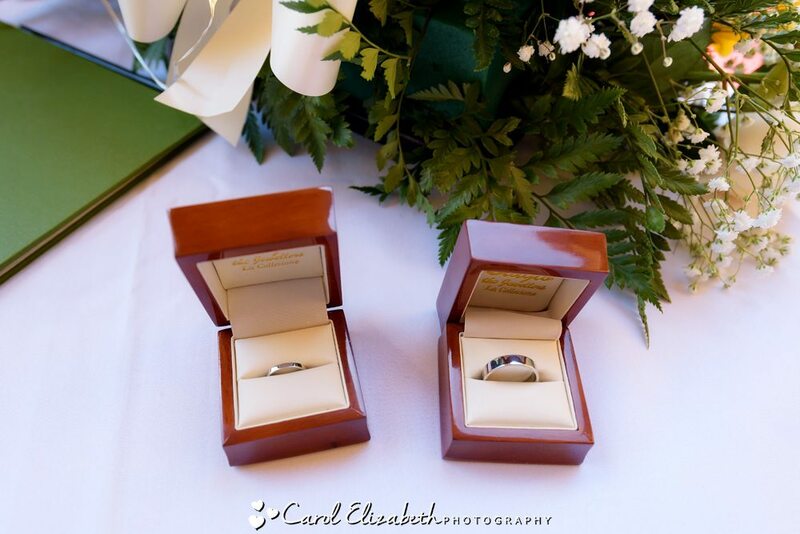 The ceremony area was being prepared, and soon the guests arrived and took their seats. 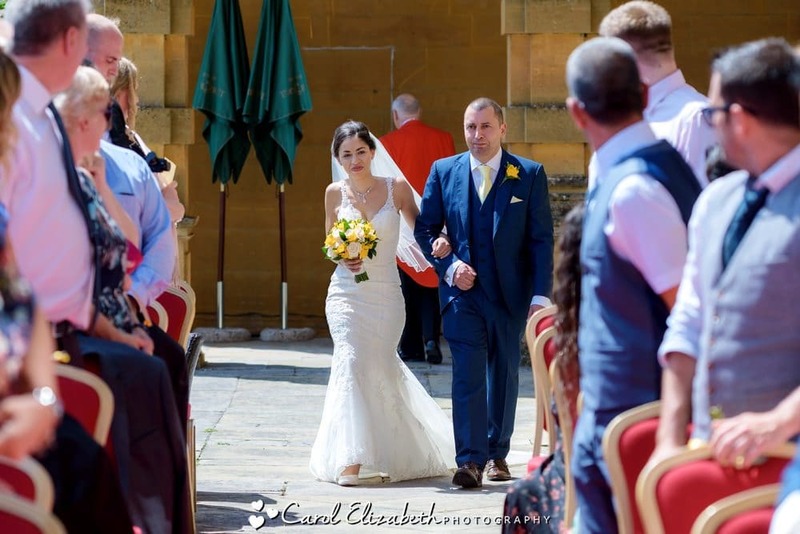 As beautiful Elisa walked down the aisle with her dad she looked stunning. 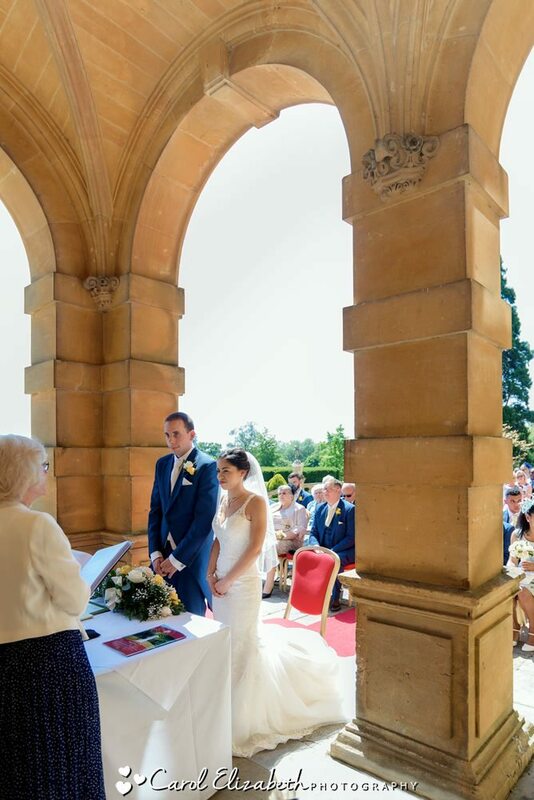 The ceremony under the arches was truly wonderful and very moving. 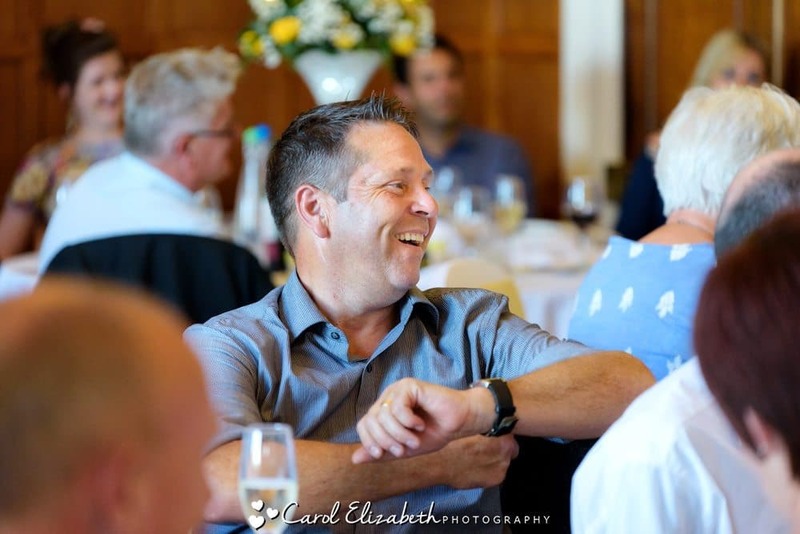 Soon it was time for the afternoon celebrations! 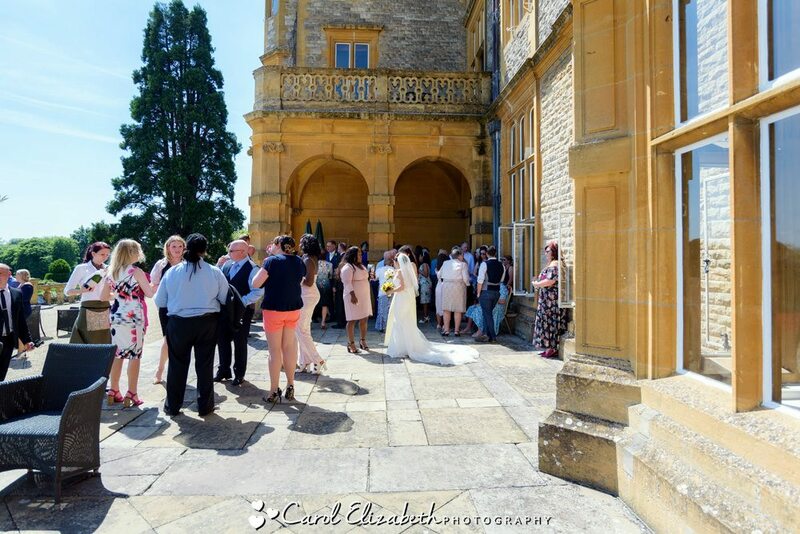 The bride and groom chatted to the guests before we took a few portraits in the grounds. 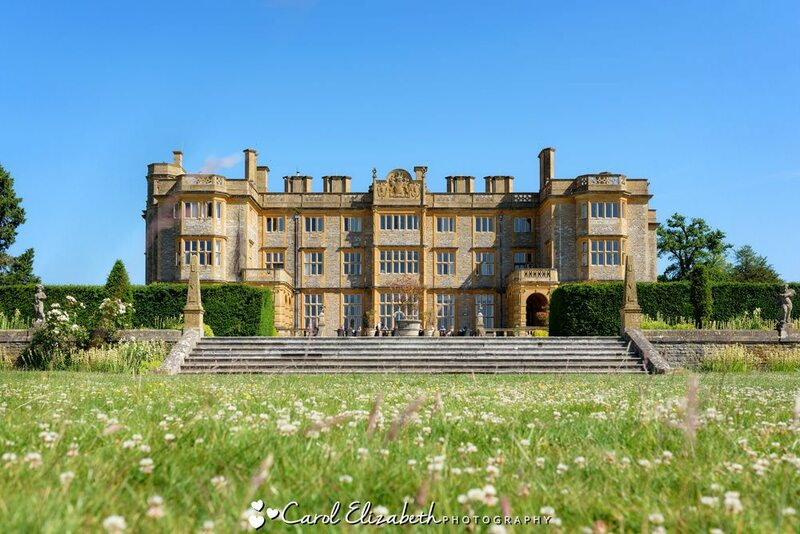 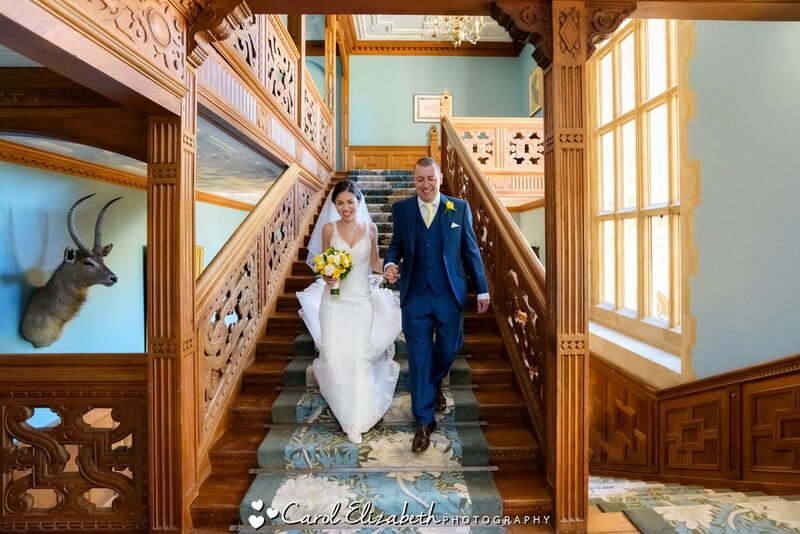 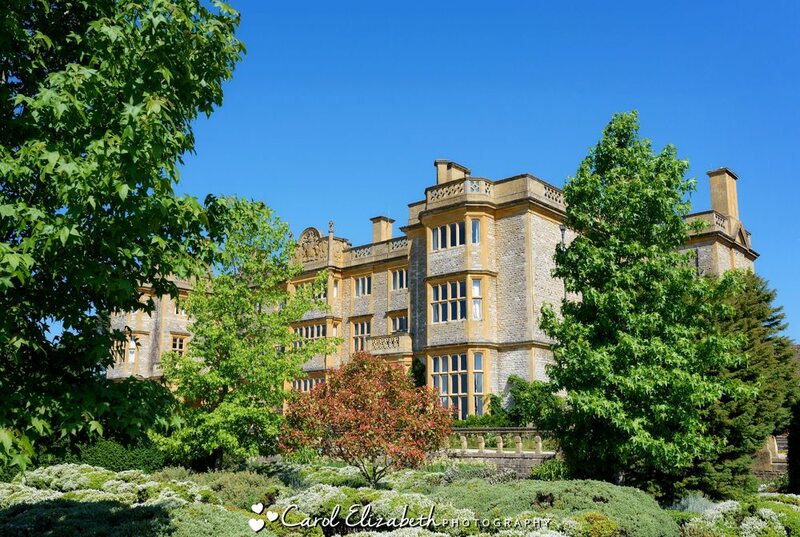 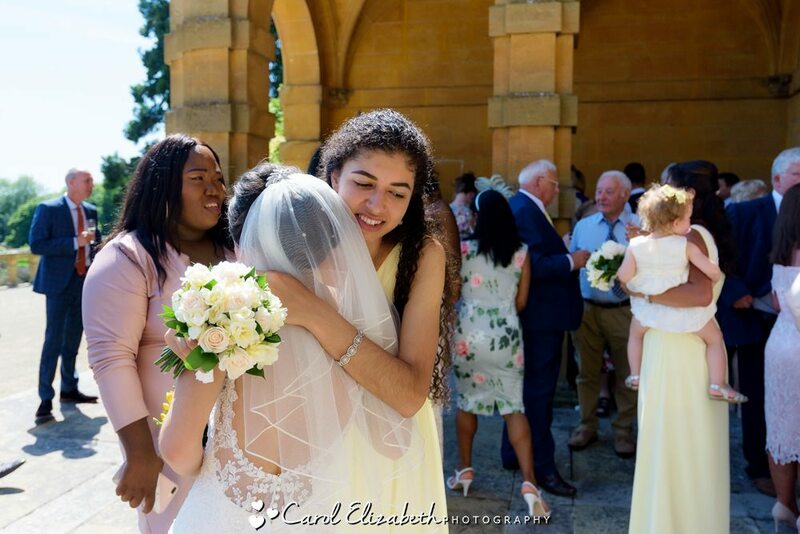 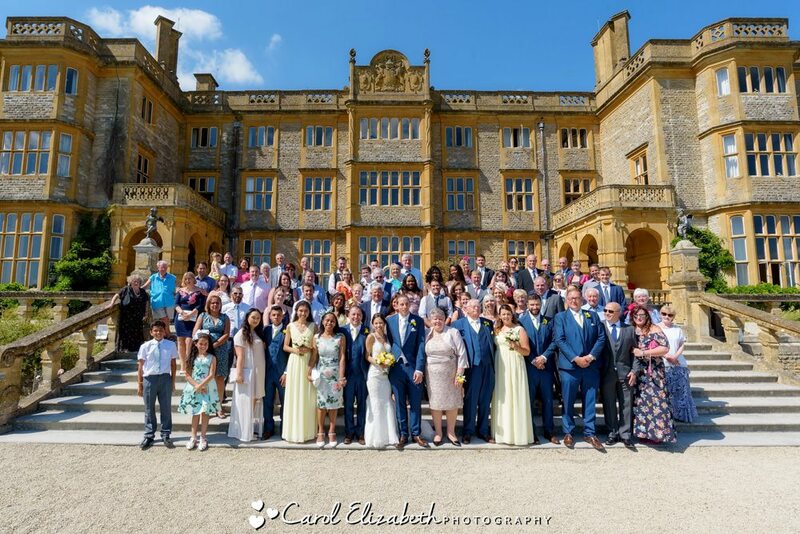 As a regular Eynsham Hall wedding photographer I am very familiar with the grounds of this wonderful venue, and we had a walk around to capture a few different views of the hall. 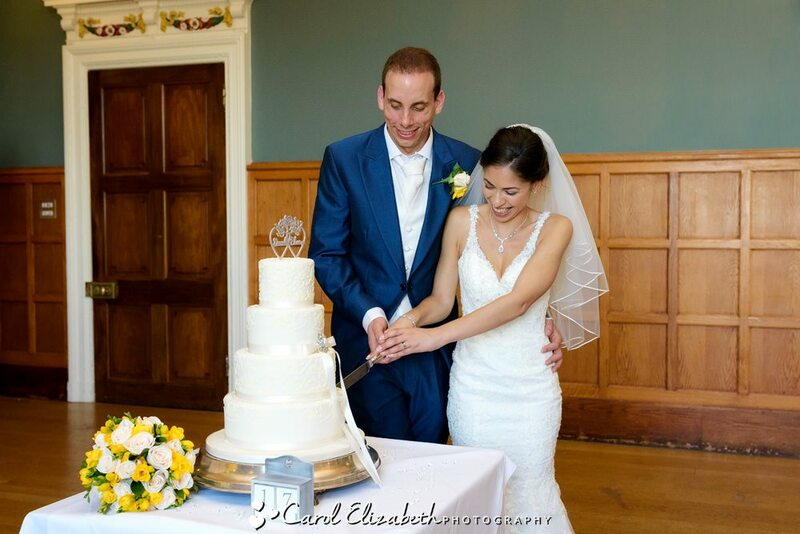 The wedding reception started with really enjoyable speeches followed by the wedding breakfast, then the cake cutting and dancing. 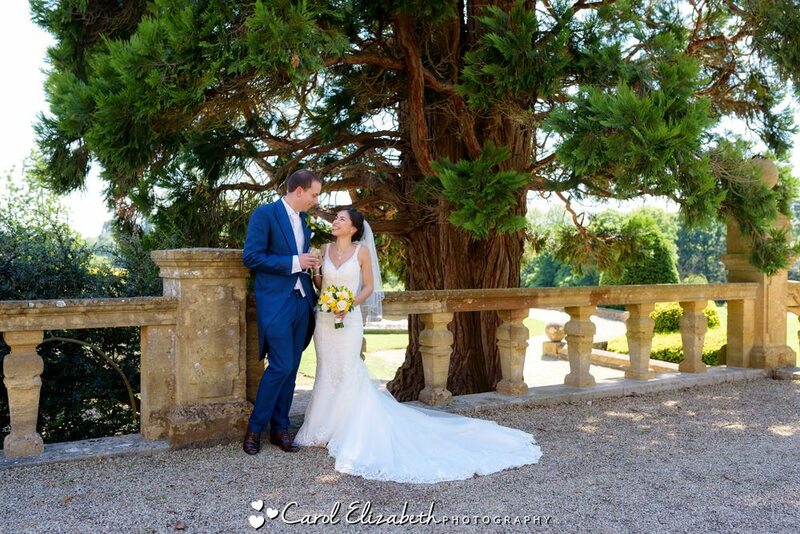 It was such a perfect day for a wonderful couple. 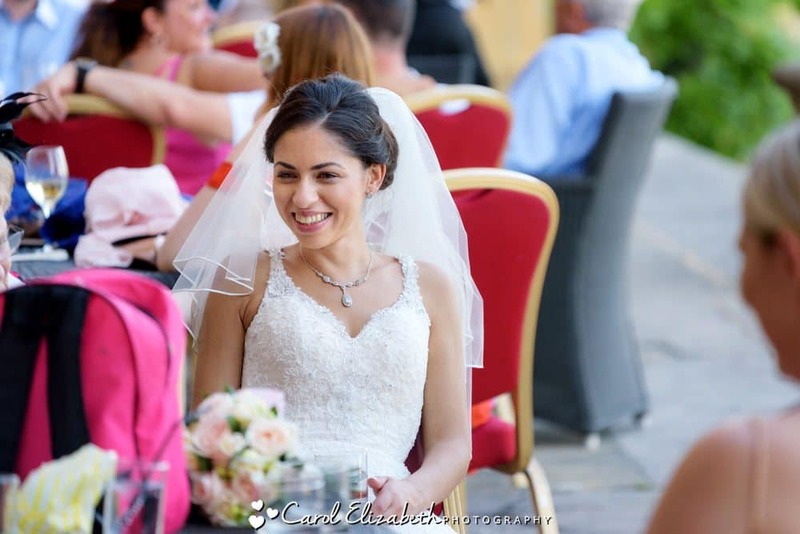 Wishing you a lifetime of happiness, thank you for asking me to capture your day! 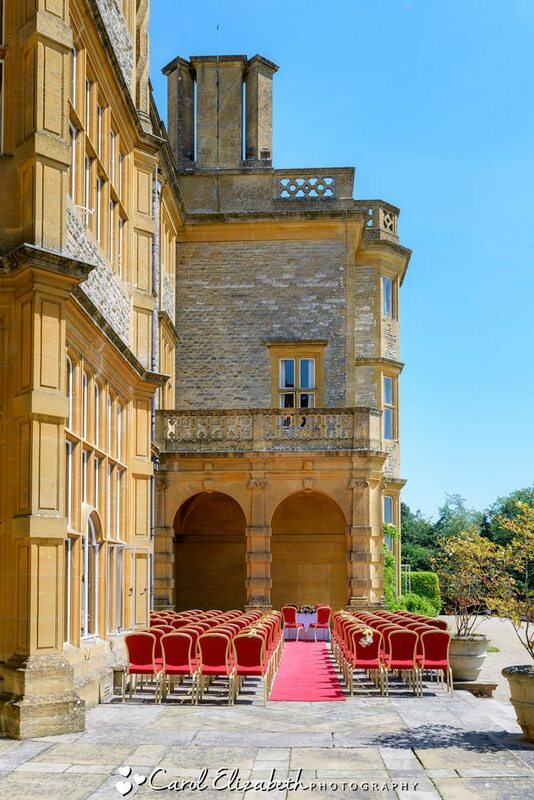 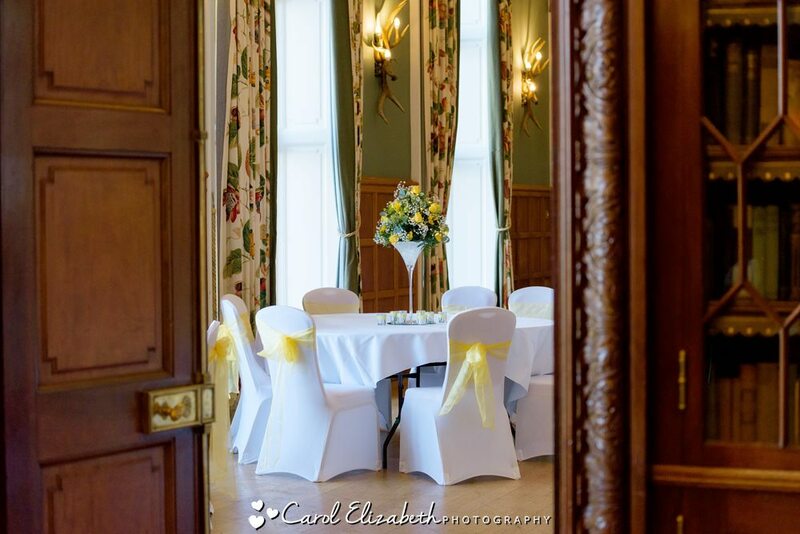 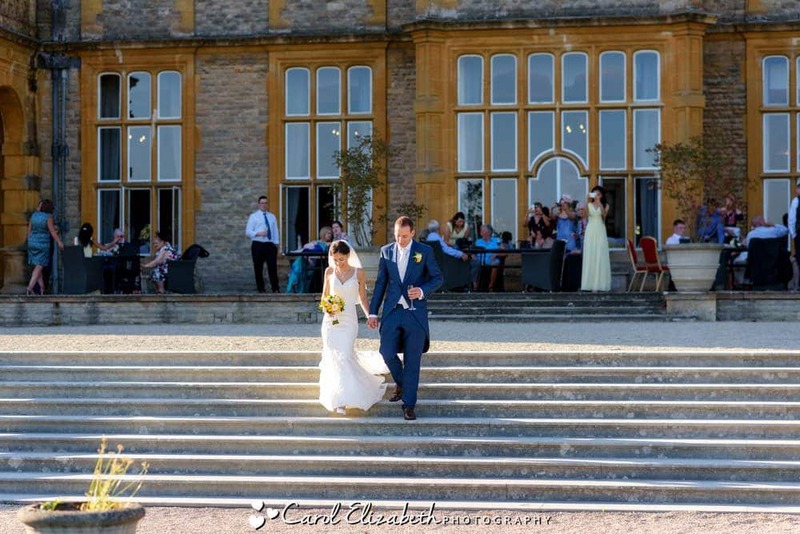 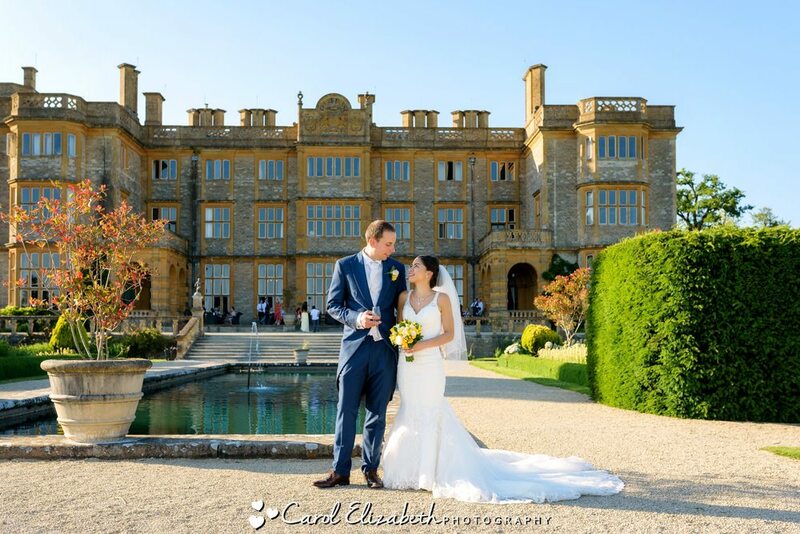 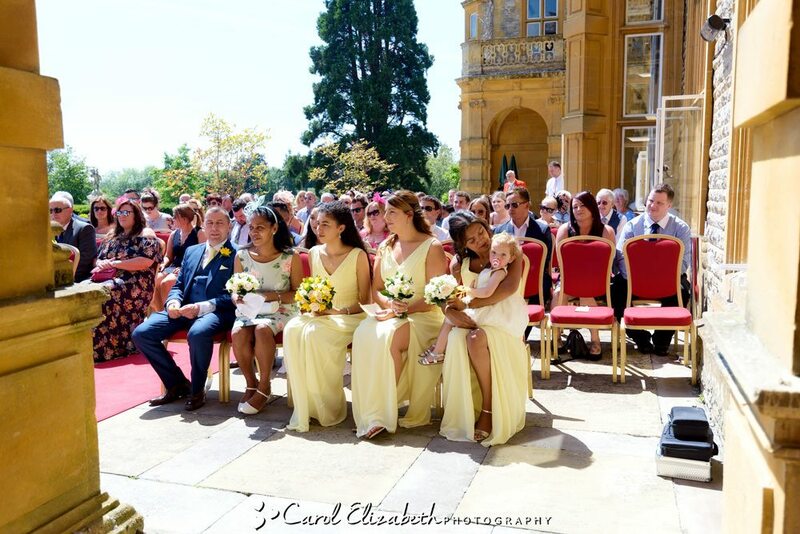 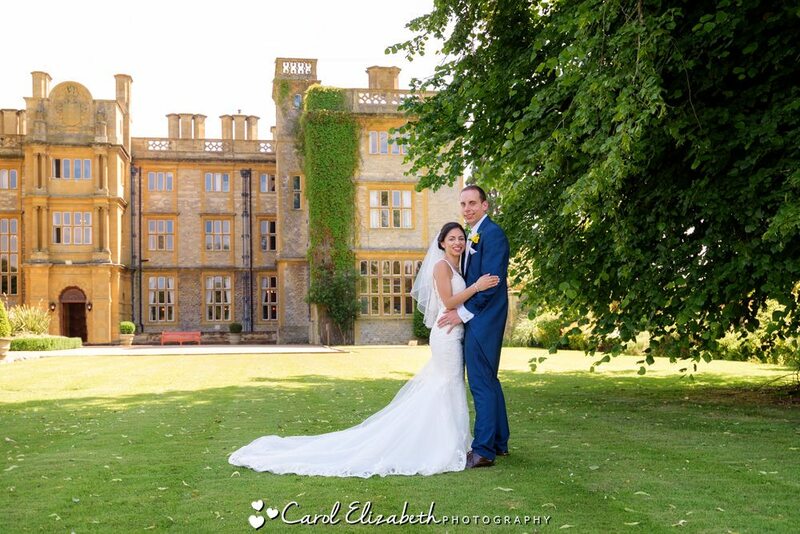 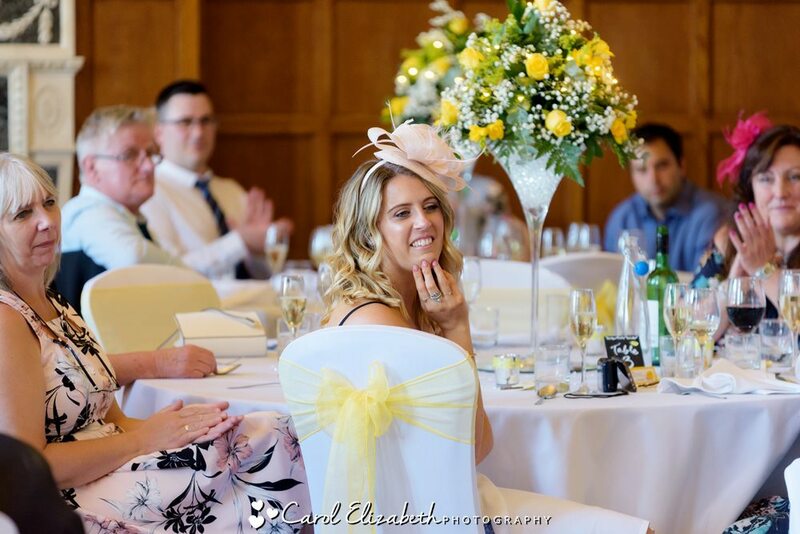 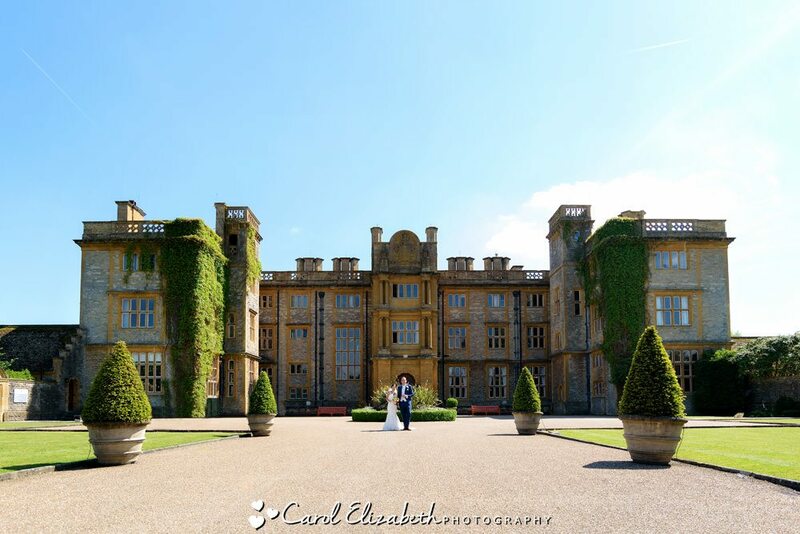 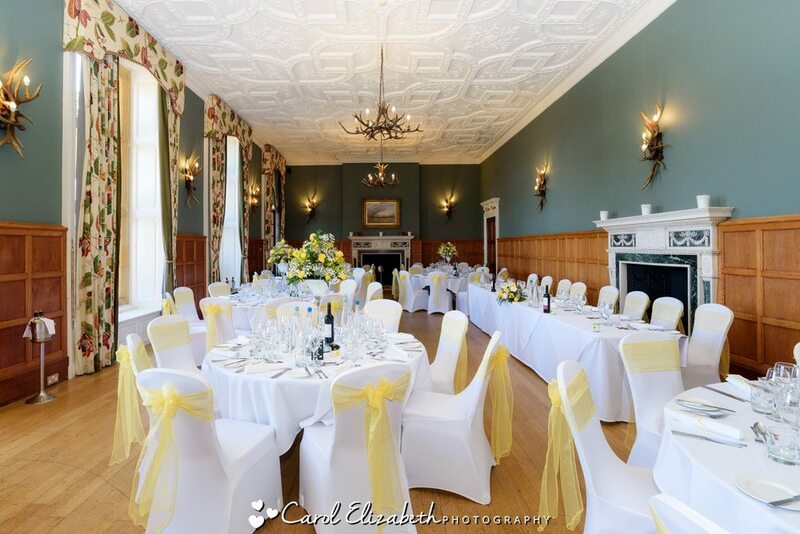 Eynsham Hall is a great choice for your perfect day. 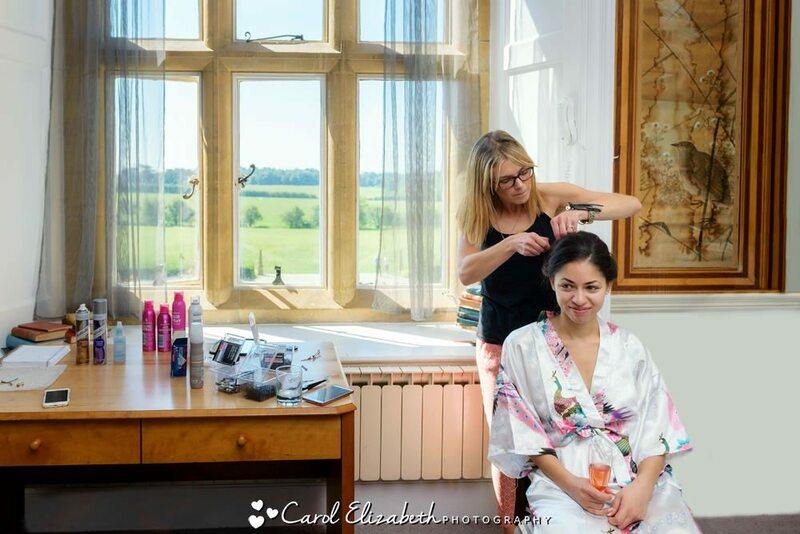 From start to finish you will be looked after by the wonderful staff. 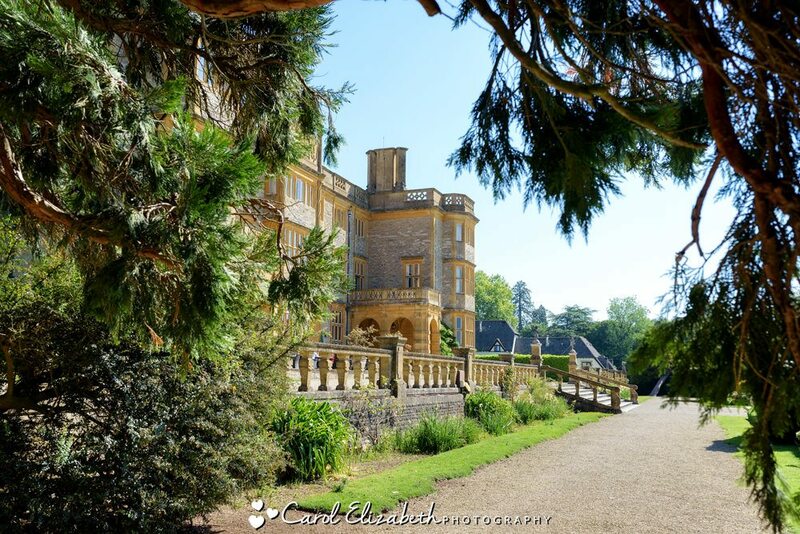 Its a lovely quirky venue with plenty of fantastic locations to relax and enjoy your stay, and vast grounds to enjoy at all times of year. 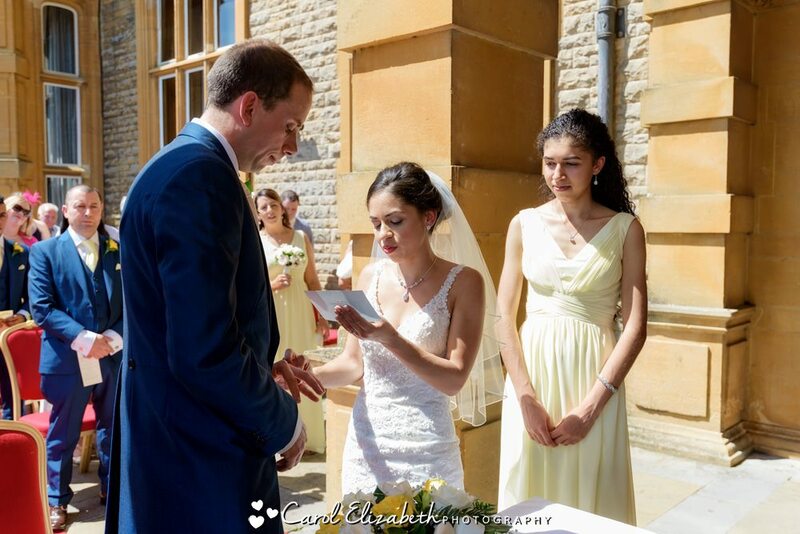 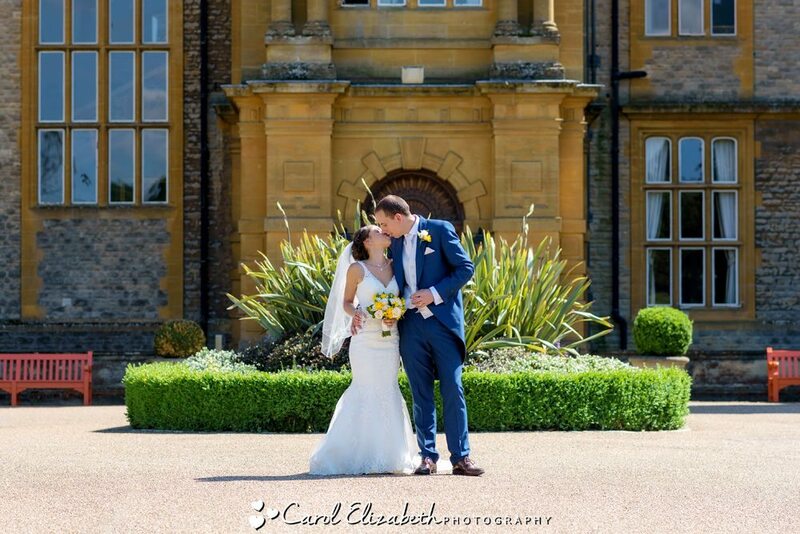 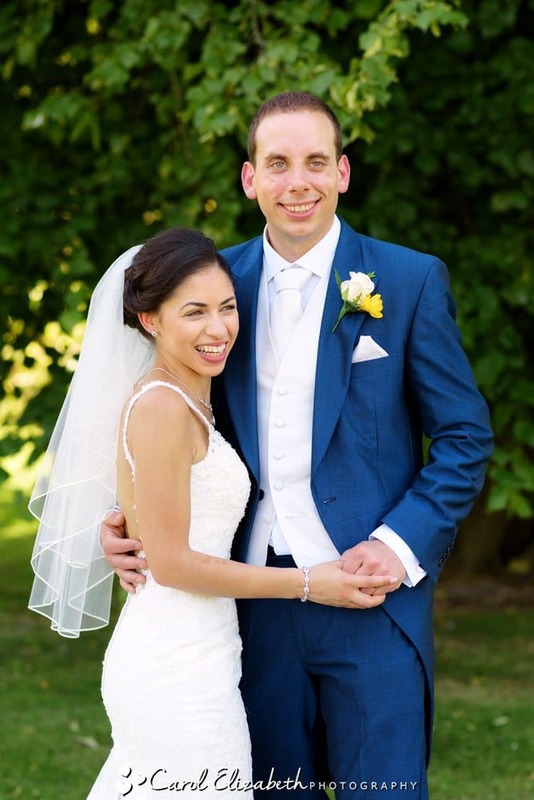 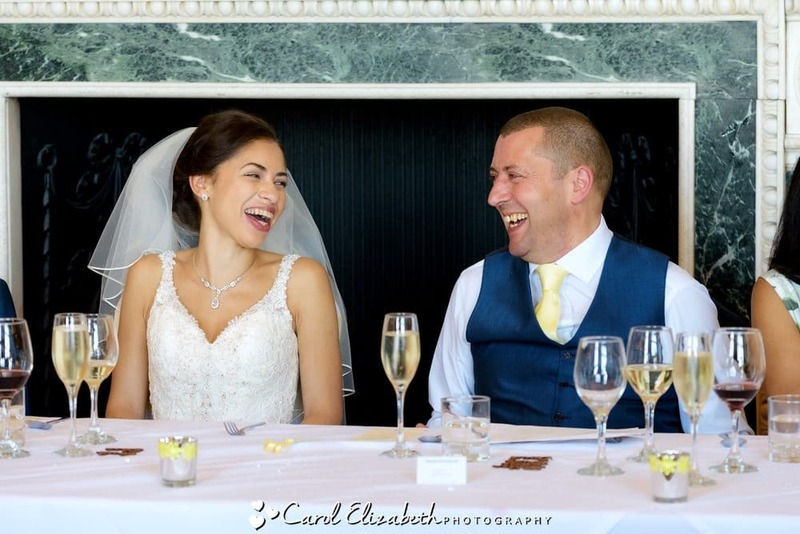 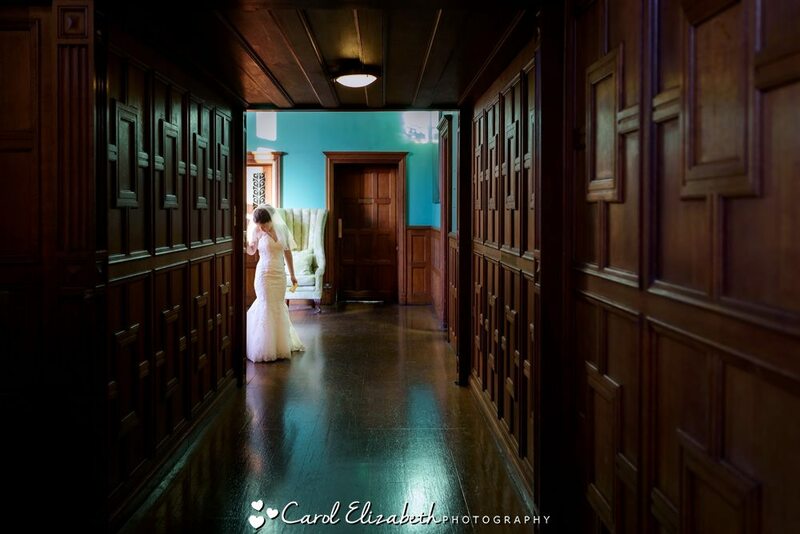 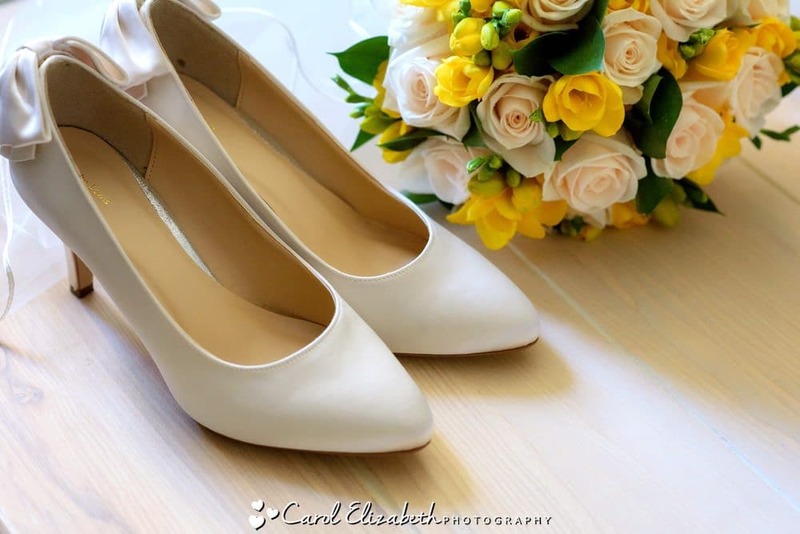 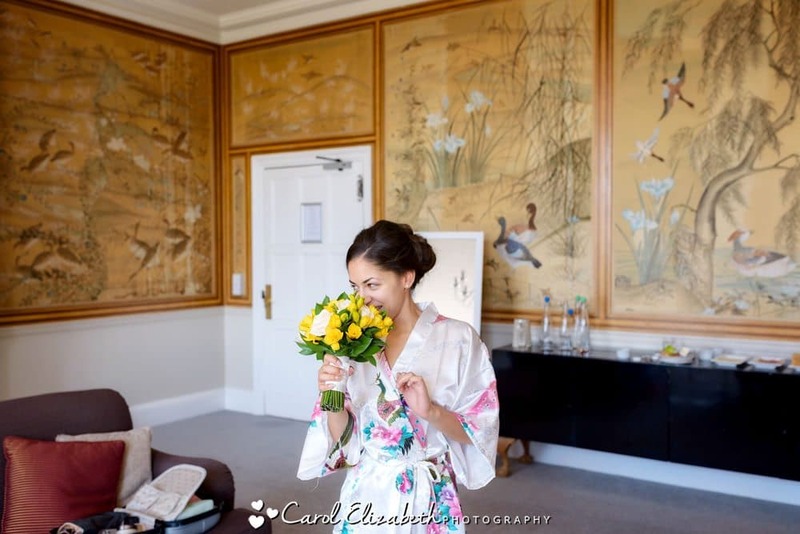 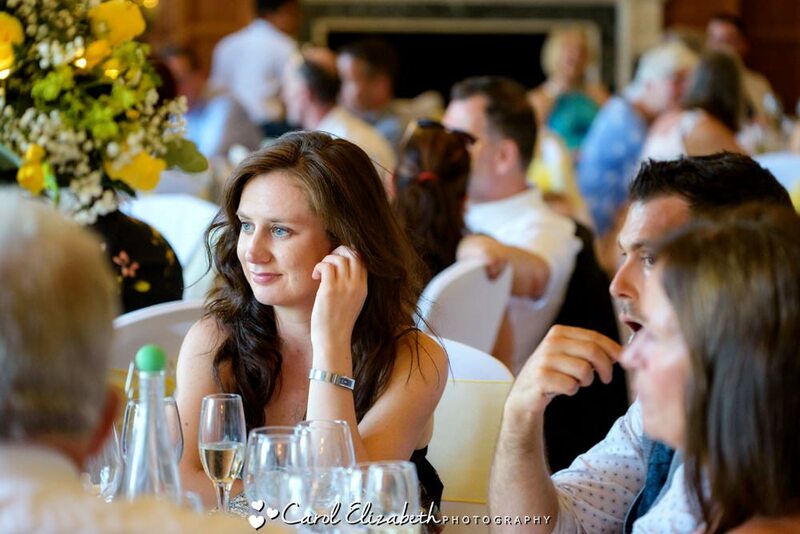 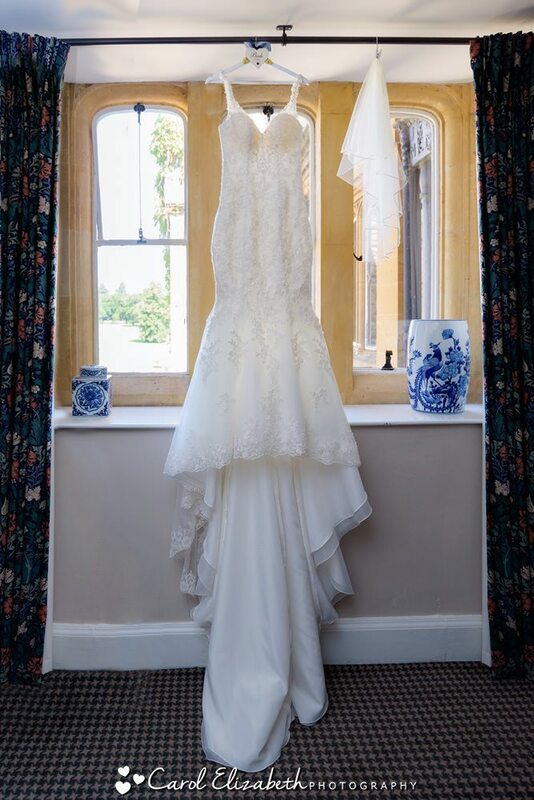 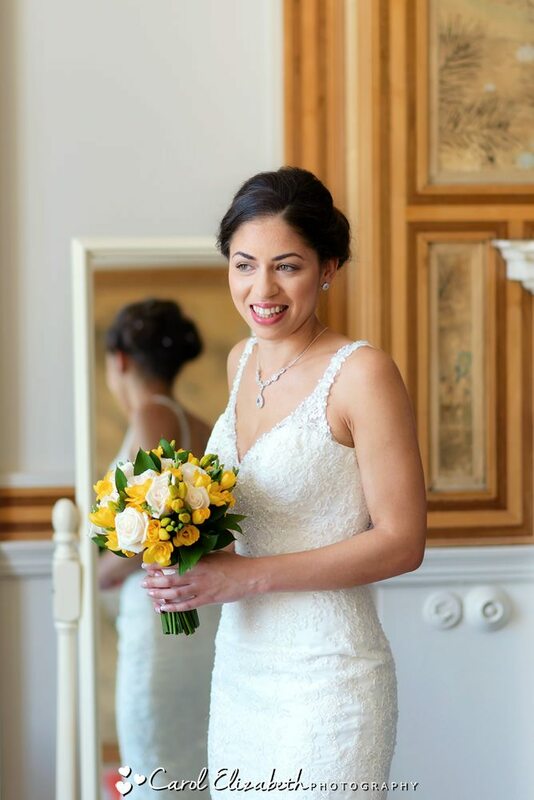 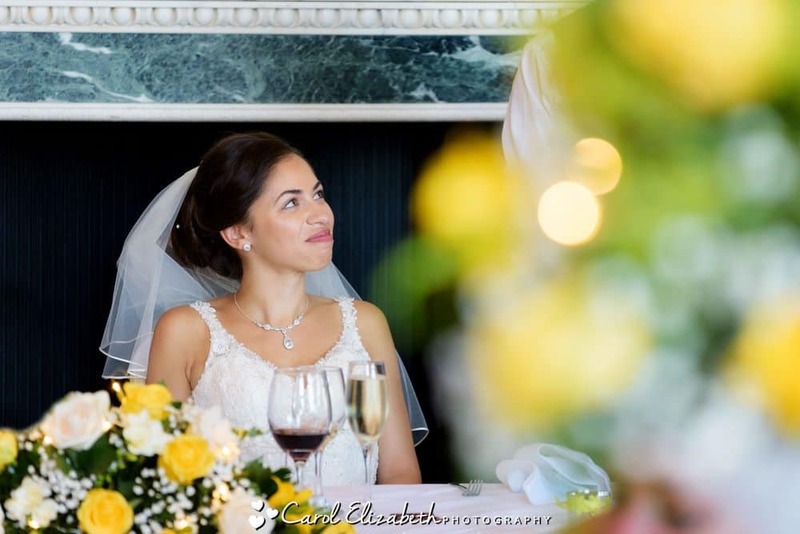 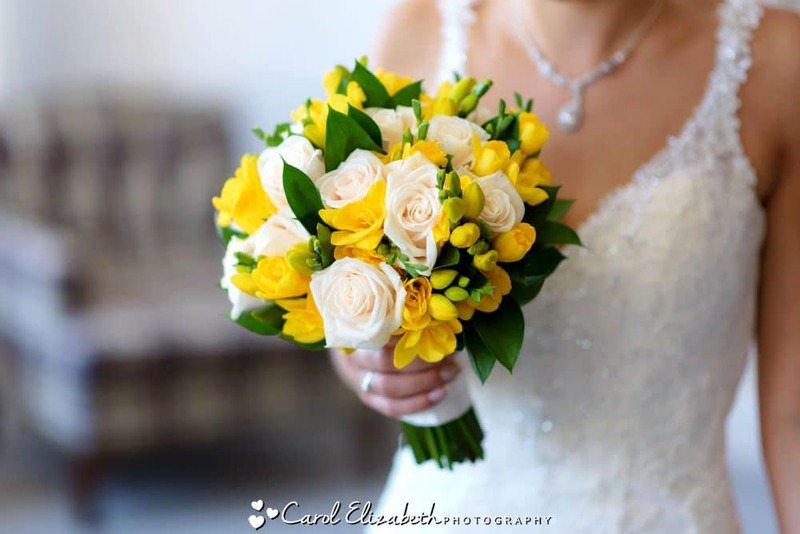 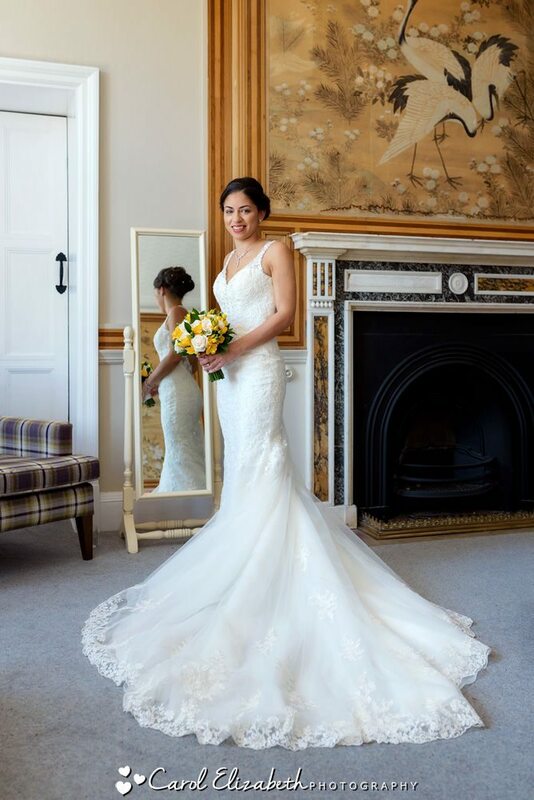 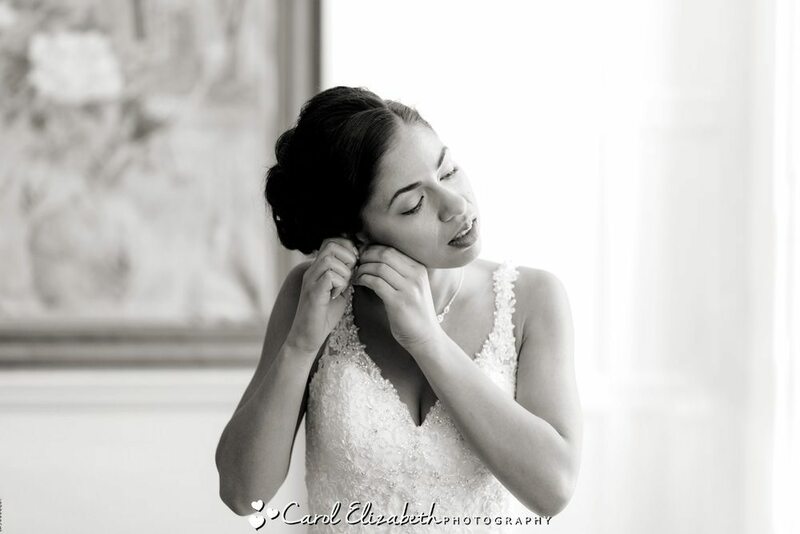 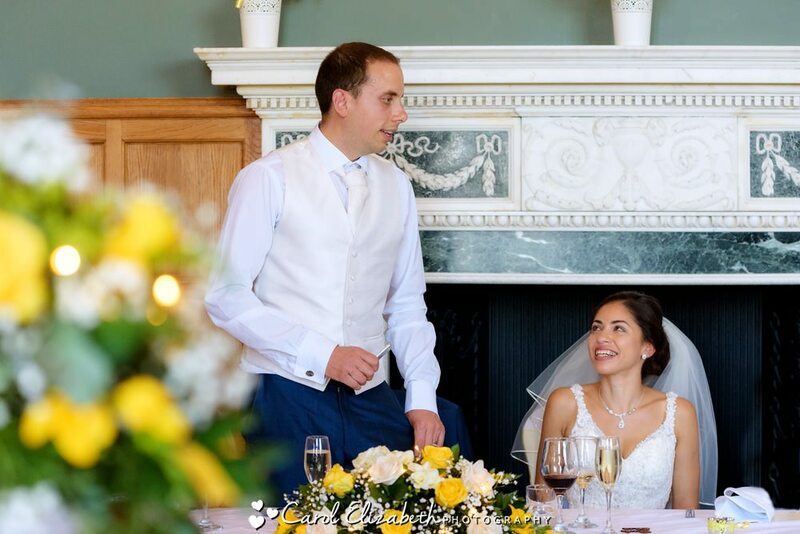 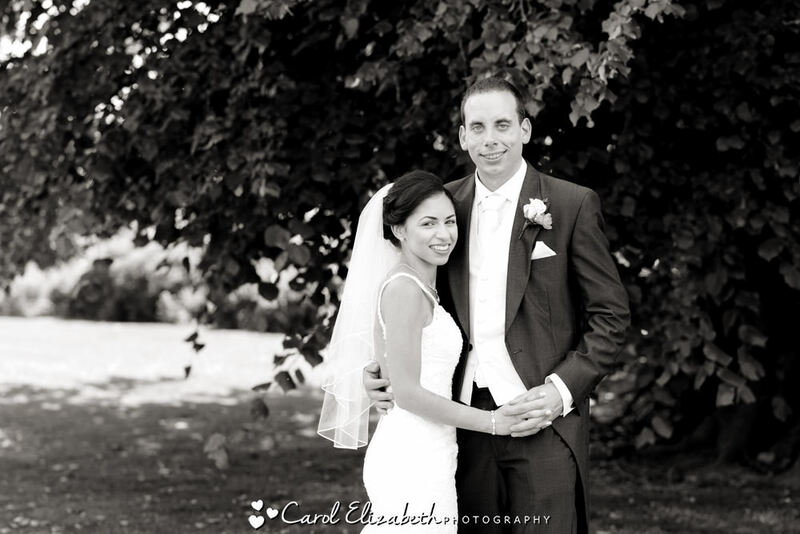 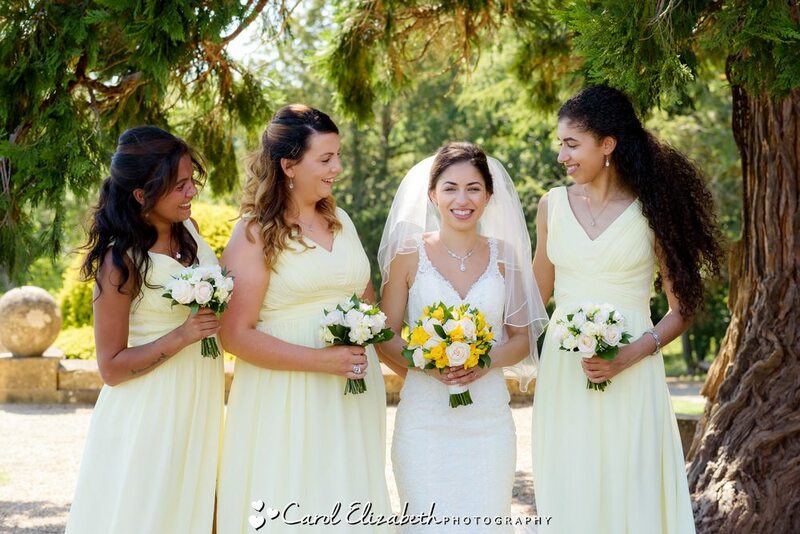 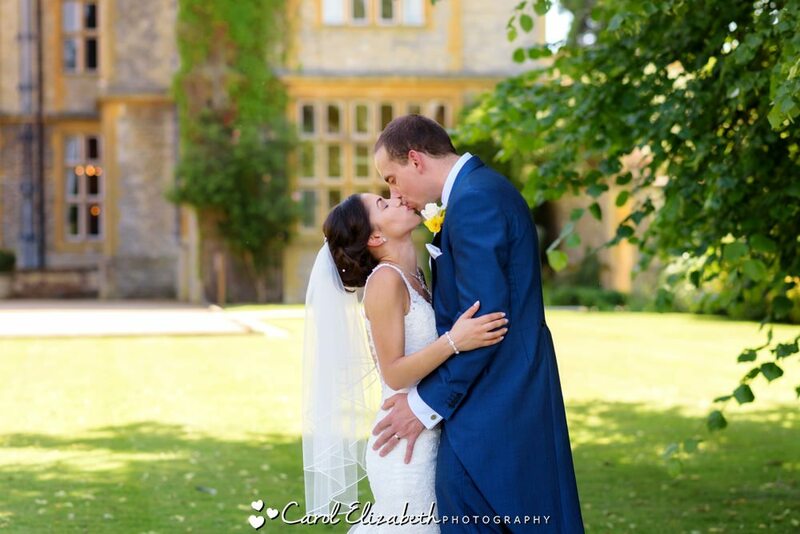 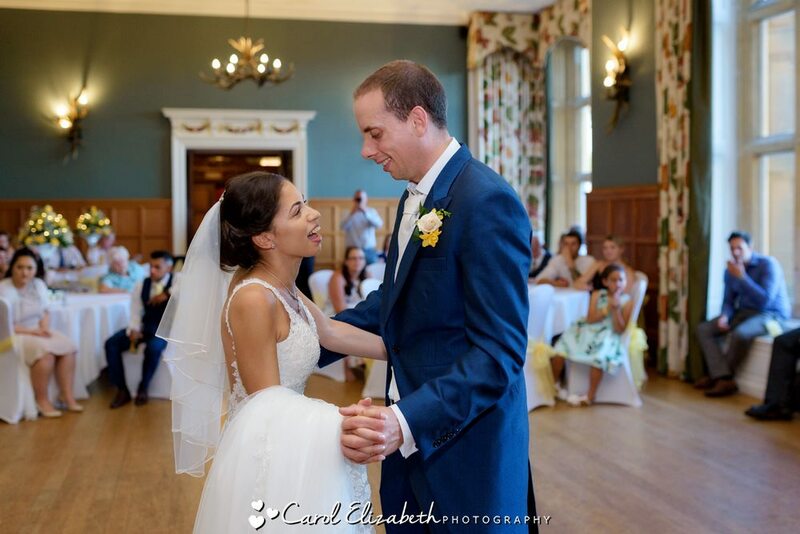 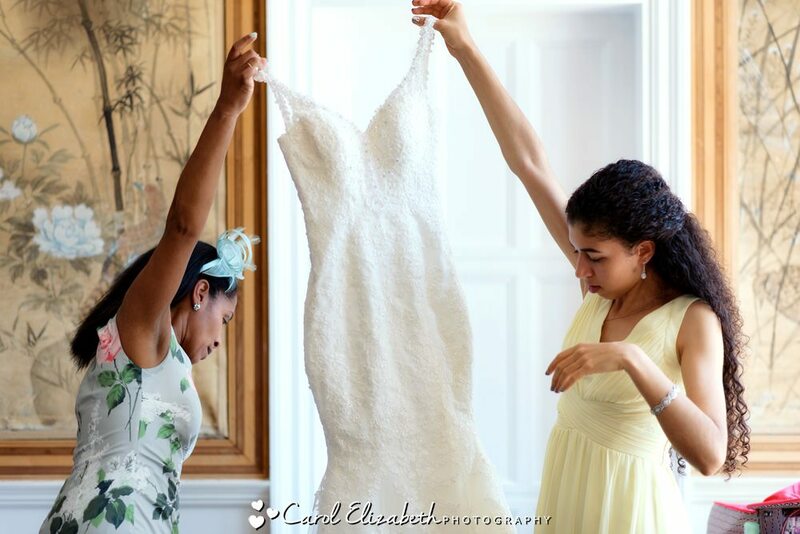 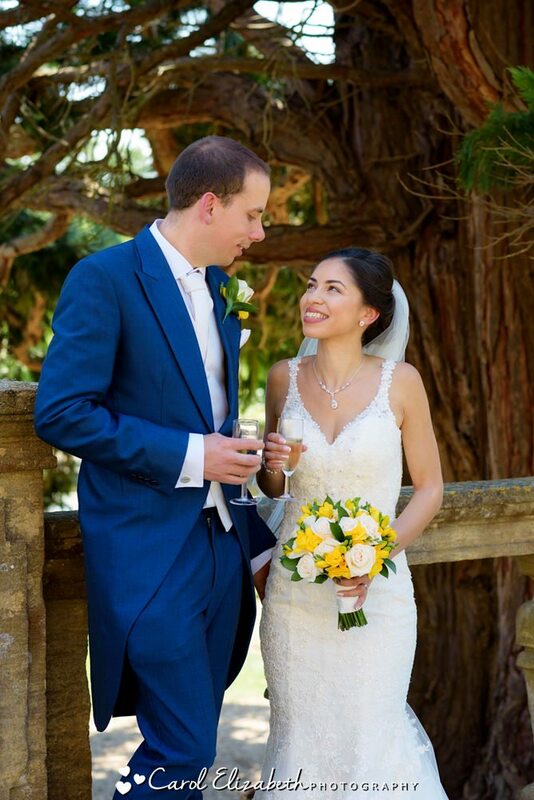 I am an Eynsham Hall wedding photographer and have a natural and relaxed approach. 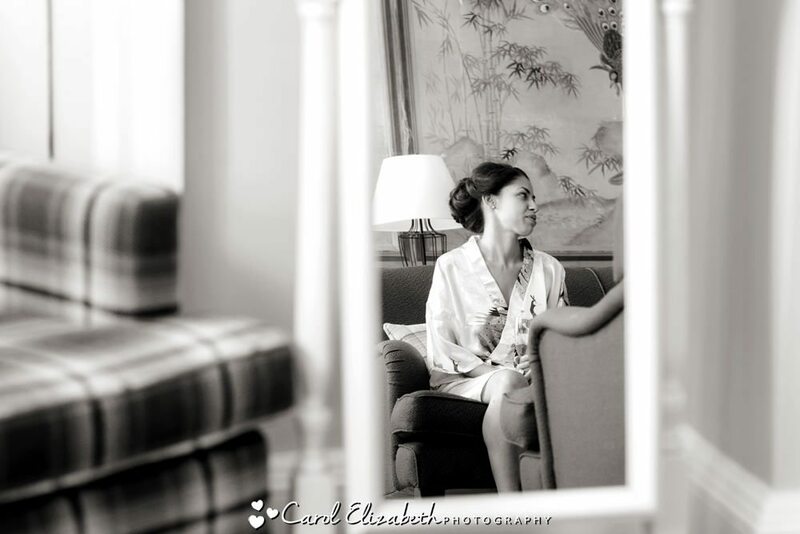 I am professional and polite, and will blend in to your day and capture those special moments. 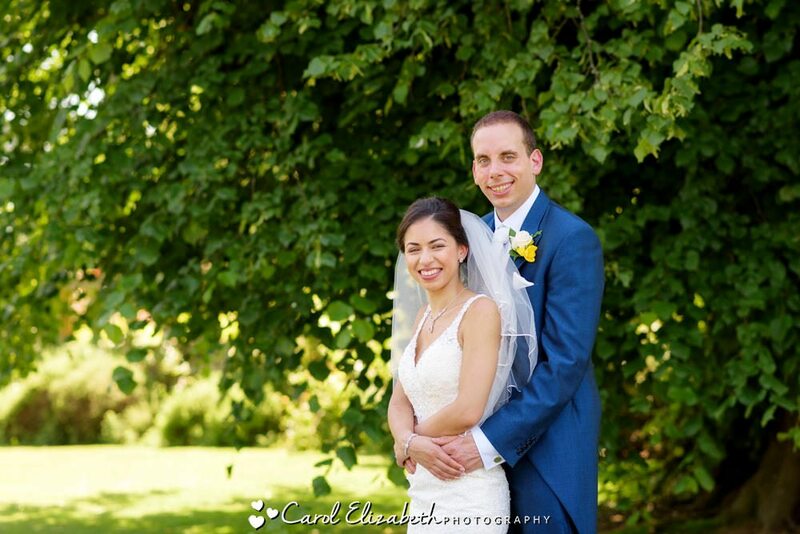 Please get in touch if you would like me to capture your day, I look forward to hearing from you!